On Thursday I was bequeathed with the honor of welcoming 72 Fulbright Scholars to America. Lake Tahoe was their gateway to America before flying out to their respective universities to engage their master and PhD studies. These gifted students came together in Tahoe City from 50 different countries, from Burkina Faso and Burma, to St. Lucia And Mongolia, these are the best and the brightest. 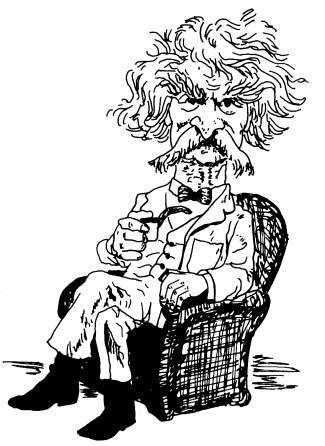 As the Ghost of Mark Twain I had to confess to them that I am as unlettered as the backside of a tombstone, but have gained worlds of knowledge at second hand, none of it correct. I told them I had two personal and selfish reasons for hoping they might discover America is still the land of opportunity and that they find a mate, get married and raise their families here. To be in the company of these high-energy kids for an afternoon and evening would turn Gloomy Gus into an unapologetic Pollyanna. The American architects of this Tahoe gateway greeting were Dr. Carina Black and Michael Graf of the Northern Nevada International Center at University of Nevada, Reno. They had the imagination to create a scavenger hunt that divided the group into seven teams to perform at a half dozen stations and receive a number of toothpicks as rewards for their performance as it related to Lake Tahoe, and in my case, Mark Twain. Prior to dinner, with toothpicks in hand, they were instructed to erect the tallest structure they could possibly construct with marshmallows. Well, I never saw kids take to a task like that. They employed alpha helixes and structures of protein to heighten their marshmallow-toothpick towers, and they did it with panache and élan. The team that won let out a whoop that could have been heard in Nigeria. These 72 exemplary students did not make the news today and they might not make the news tomorrow, but they will spread the goodwill, sound thinking and compassion that travel and education inculcates. They will be goodwill ambassadors for the rest of their lives wherever they go, and in doing so, will convert many people prone to violence to peace loving citizens.